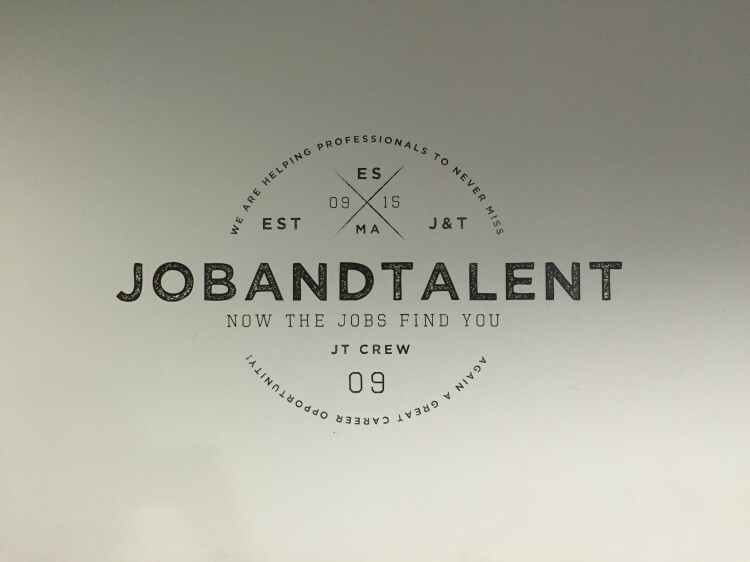 Jobandtalent promises to help you find your dream job: but can they find a scalable business model? Analysis of Jobandtalent’s history and business model, as the company wants to implement a transactional model in the job market. PSA: We’ve recently switched our newsletter to Mailchimp and it seems that it’s ending up in users’ spam folder on Gmail (Google Apps), Yahoo and Hotmail/Outlook. If possible, we’d kindly ask you to check your spam folders and tell your email provider that we’re no spammers. Thank you. With more than $40 million, job matching startup Jobandtalent has become one of the richest Spanish startups. Richest in terms of funding, because many in the country continue to question whether the company has a good enough product or business to justify that number. Given the fact that there’s no better way to find out than asking the company itself, I recently took a trip to number 93 at Paseo de la Castellana to sit down with co-founder and co-CEO Juan Urdiales. We talked about the past, present and future of the company. Before doing that, I took a look at Jobandtalent’s financials at the Spanish official registry. Those filings, provided by Dato Capital, show that the company had sales of €1 million in 2014, up from €768,000 in the previous year. A moderate increase in revenue that was accompanied by a much bigger surge in its loss, as the company co-founded by Urdiales and Felipe Navío posted a loss of €2.5 million last year, 7.5 times more than in 2013. While these numbers would scare off many rational investors, they did attract the attention of a wide variety of financial backers, who injected €23 million into the company in May 2015. Since then, the same question about Jobandtalent remains: how the heck does the company make money? As we start talking about the current state of the company, Urdiales quickly explains where the company comes from, as if knowing Jobandtalent’s past would make it easier to understand its present and future. The first conversations about the job market took place in 2008, when Felipe Navío was working at Tuenti and few months after Urdiales sold its first startup, online clothing store Pluscuamperfecto. “I tried to raise capital for Pluscuamperfecto, but at the time I did not realise it wasn’t an attractive business for investors”, he says. “One day I talked to Felipe about how tough it was for some people to find a job and how we could make it easier, and those first conversations where the origin of Jobandtalent”. Felipe left Tuenti soon after and Tuenti co-founder Adeyemi Ajao helped build the foundation of the company. Ajao was about to start an MBA at Stanford, but had to wait a few months for the program to start, so he decided to help. “He didn’t invest capital in the company, but he did help us a lot in the fundraising process and in the recruitment of JT’s first developers”. Urdiales was good friends with Tuenti’s co-founders Adeyemi Ajao, Felix Ruiz and Zaryn Dentzel, and there’s no doubt that this close relationship helped the startup in its beginnings. When asked about Jobandtalent’s founding team, Urdiales names himself, Felipe Navío, Adeyemi, Tabi Vicuña, Pablo Gomez-Ballesteros and Alberto Mateos as key components of what has now become a 100-person startup. Tabi and Alberto no longer work at the company, but Urdiales talks fondly about them and recognises their importance when it mattered the most. Despite the fact that a lot has changed since then -the company’s first product was desktop-oriented and had a strong social network component, thanks to the influence of Tuenti-, the company’s co-CEO says that their goal has remained the same: to make the process of receiving relevant job offers easier for users, and for these to find the right job without much effort. Two years after founding the company, Urdiales and Navío realised that users were not coming back to the platform once they signed up. “The product didn’t work, users didn’t understand its value and retention wasn’t good”, he says. The only users that were actually coming back to the website were those that were heavily using Jobandtalent’s recommendation system. JT’s recommendation system works as follows: users are asked about their job title, current company, industry, years of experience and salary. Based on that, the company shows users a stream of job offers that they can show interest in or reject (Tinder-style), improving the algorithm and thus, in theory, making the whole experience better. “This recommendation system means a better experience for users and companies. When a job offer is posted, we’re able to match it to the right profiles based on all the user data we have, in a short period of time. This way we increase the quality of the job matching process and we reduce time-to-employee. It’s all about generating liquidity for both sides of the marketplace”, Urdiales explains. 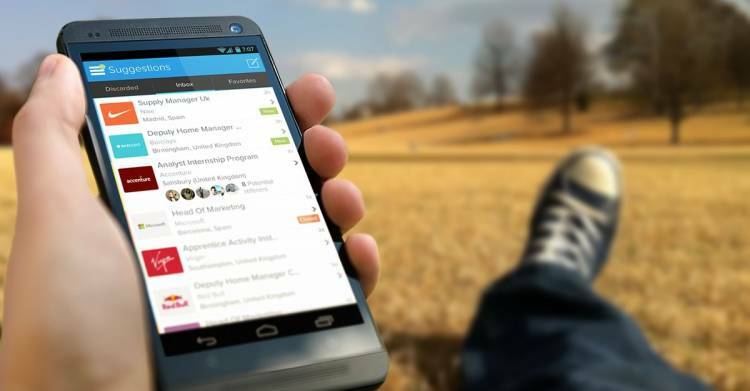 2011 to 2013 were transitional years, as the company tried to build a mobile-first experience, and these days Urdiales says that Jobandtalent’s apps have been downloaded 9 million times and that between 4.5 and 5 million users come back to them on a monthly basis. “We push job offers to them, instead of relying on the traditional system of workers trying to find a new job. We want to do that for them and I believe we have the right technology to do so”, he says. Contrary to what is often perceived in the market, Urdiales explains that Jobandtalent’s is mostly a platform for blue collar jobs and workers. “We’re focused on this type of jobs, which represent a massive and underserved market”, he adds. Product and history questions aside, what I wanted to get to is Jobandtalent’s business model. For a long time I didn’t understand how it worked, but investors in the company often talked about how their approach could change the way a significant part of the job market functions. So I asked Urdiales himself about this. “I believe the job market is currently evolving from a lead generation or listing model to a transactional one”, he says. “This has happened in many other verticals but not in this one, and we believe we can achieve this”. To understand what Urdiales means by applying a transactional model, we must first understand the company’s four main sources of revenue. Companies can post job offers for free on Jobandtalent. However, the startup also presents big clients the opportunity of promoting their brand and the way they work with profile pages and such. These packages cost between €6,000 to €30,000 per year, and they allow companies to reach a wider pool of workers on the platform. “It’s similar to Adwords, but with a very strong performance and branding component”, he says. “There’s no CPC and it’s oriented towards big companies that want to have higher visibility on Jobandtalent”. What this means is that, if you pay, you have a better chance of reaching the right users. These ads account for 30% of the company’s revenue. Given all the information the company supposedly has about its users (salary, industry, etc), Jobandtalent says it can help traditional advertisers reach certain audiences more efficiently. This is a pure programmatic or RTB ad buying process. Jobandtalent recommends users certain types of educational programs based on their professional profile and the kind of job offers they tend to apply to. Urdiales says that this represents 40% of the company’s income, and that it’s an area “that’s growing very fast”. Clients include big institutions like Instituto de Empresa and other smaller programs, which pay Jobandtalent per lead generated. Since September the company is testing with SMEs a new model, that they call transactional, that’s basically one which forces companies to pay between €49 to €199 per worker hired through the platform. To make sure that Jobandtalent finds out about these hirings, they offer an incentives package to workers, which includes €250 if they open a bank account with BBVA, medical insurance, one year free membership with Pepephone and some other perks. “We give all of this to the user, which creates a big incentive for them to report that they’ve been hired through the platform, so we don’t miss anything”, Urdiales comments. These hiring fees represent what Urdiales calls “moving to a transactional model”. It has been done before at certain headhunting firms and for well-paid jobs, but the company believes that if they can successfully apply it to the blue collar market, they have a big opportunity in front of them. On top of this, Jobandtalent claims that they will launch a new transactional model in January. “It’s going to be very big, but we can’t give you more details at the moment”. Urdiales says that they expect transactional to represent half of Jobandtalent’s revenue in mid 2016, “and more than 80% in the long run”. “What companies want is to pay per successful hire, instead of paying €100 or €150 to simply post an ad”, he notes. Whether that happens is another key question that will depend on the company’s ability to apply their formula in the job market. Jobandtalent is currently present in Spain, UK, Mexico and Colombia, and the company is still thinking about how to best tackle the US market. “There’s no rush when it comes to the US. We are aware that if we launch there and we’re successful, the value of the company could increase exponentially. But you can also build great and long-lasting companies in Europe or Latam alone”, Urdiales says. According to the company, they’re not in a tight financial position and they have “plenty of cash in the bank”. However, they do admit they’re talking to new investors that can help them in their international expansion. “We’re not in a hurry. It’s more about finding the right investors than just cash”, he admits. Up until now the company has only raised capital from Spanish investors (Pelayo Cortina Koplowitz, Qualitas Equity Partners, FJME Kibo Ventures or Nicolas Luca de Tena), but they admit that for them to grow properly outside of Spain, they might need new partners. “We’re talking to everybody, but one thing is for certain: Atomico hasn’t acquired us”, he says while laughing, in reference to a poorly written article published on El Confidencial a few weeks ago.